Josh feels like he's starting to make it big! Jaden, the school reporter, says he's going to take the baseball team to number one. Then his dad pulls him off the field and signs him up with Coach Rocky Valentine's youth championship team, the Titans. He says Josh has what it takes to be a baseball great and the Titans will help him get there. Now Josh is gulping down Rocky's "Super Stax" milkshakes to build muscle and trying to fit in with his new teammates; older, tougher kids who can suddenly become violent. All Josh really wants to do is play ball, but as he gets in deeper with the Titans, there are questions he's just got to ask. As Josh and his new friend Jaden investigate their suspicions, they find themselves in a dangerous struggle with a desperate man who doesn't want them to expose the nasty secrets they uncover. This is one of the greatest books. 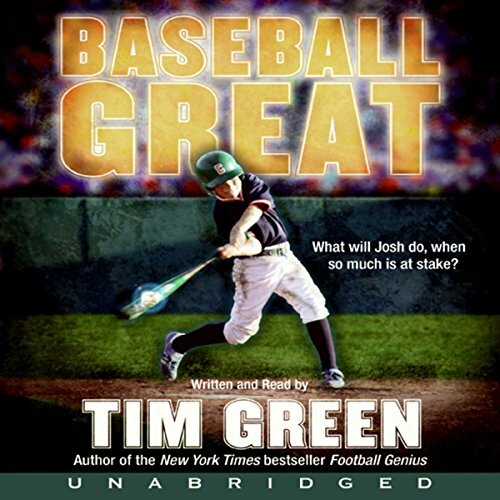 I recommend this to any sports reader. it's also very inspiring when reading. Good Read for Sports Fans. The book had a slow start and Mr. Green spends a lot of time in descriptive prose. My girls were not happy at first, but out of respect for Mr. Green and what he has done for kids I made them ride it out and we were rewarded with his signature excellent writing throughout the rest of the book. The ending was so intense we had to sit in the driveway and run the tape to the end.